WASHINGTON -- President Donald Trump issued an order Friday to deny asylum to migrants who enter the country illegally, tightening the border as caravans of Central Americans slowly approach the United States. Trump invoked the same powers he used last year to impose a travel ban that was upheld by the Supreme Court, and the new regulations were likely to draw a legal challenge. They are intended to circumvent laws stating that anyone is eligible for asylum no matter how he or she enters the country. 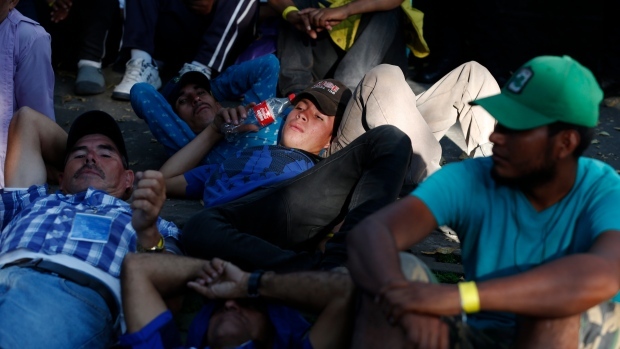 About 70,000 people per year who enter the country illegally claim asylum, officials said. 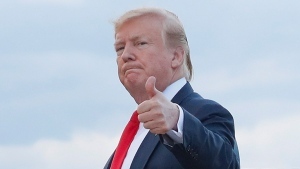 Trump's announcement was the latest push to enforce a hardline stance on immigration through regulatory changes and presidential orders, bypassing Congress which has not passed any immigration law reform. But those efforts have been largely thwarted by legal challenges and, in the case of family separations this year, stymied by a global outcry that prompted Trump to retreat. The legal director of the International Refugee Assistance Project said the latest move was blatantly illegal. "This is yet another discriminatory attempt by the president to target vulnerable people, but he cannot unilaterally rescind the American commitment to provide refuge to those seeking safety," said Mariko Hirose. Officials said the asylum law changes are meant to funnel migrants through official border crossings for speedy rulings instead of having them try to circumvent such crossings on the nearly 2,000-mile (3,200-kilometre) border. Border Patrol agents in Yuma said they arrested nearly 450 migrants in Western Arizona this week. Homeland Security officials said they were adding staffing at the border crossings to manage the expected crush, but it's not clear how migrants, specifically families, would be held as their cases are adjudicated. Family detention centres are largely at capacity. Trump has said he wanted to erect "tent cities," but nothing has been funded or decided. Migrants who cross illegally are generally arrested and often seek asylum or some other form of protection. Claims have spiked in recent years and the immigration court backlog has more than doubled to 1.1 million cases in about two years, Syracuse University's Transactional Records Access Clearinghouse reported this week. Generally, only about 20 per cent of applicants are approved.